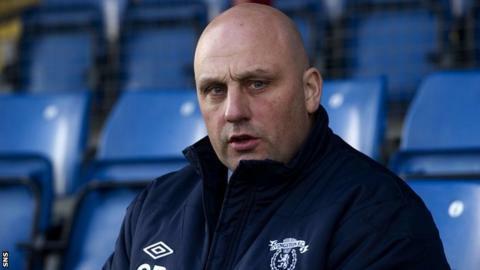 Former Dundee United player Gary Bollan says the upcoming managerial vacancy at Tannadice is "a very attractive job". Peter Houston has announced he will be leaving in the summer after deciding not to extend his contract. Bollan is out of work after leaving Livingston last year and, though he indicated his interest in the post, he expects there to be many candidates. "It's a fantastic club. It's one of the biggest jobs in Scotland," Bollan told BBC Radio Scotland. "Having been there for six years of my career, I know the type of club it is and I think it's an attractive job to anybody. "I think there'll be no shortage of people applying for the job and putting their name forward because it is such an attractive job. "The list can be endless of the amount of applicants that'll be putting their names forward for it. "I'm a Dundee lad, born and bred. I played there, I was a fan of the club. I was actually a youth coach at the club for a while as well. "Some of the kids I had in the youth team are now ready to be unleashed into the first team." Houston cited his concerns about reductions to the playing squad budget when explaining his decision to depart at the end of the current season. "He's done an absolutely fantastic job," said Bollan. "Every season, the league position's getting them a European place, he's won the Scottish Cup. "The way Dundee United are going, whoever goes in is going to have to work with young kids and having been at Livi for two years, playing with a young team, I know how to work and we were successful at Livingston, winning back-to-back promotions." Meanwhile, United chairman Stephen Thompson insists the club are not facing imminent financial difficulty. "My worry is that everyone starts thinking that we're going to be the next club to go under, which is anything but [the case]," he said. "We've got finances in place till the end of the season and beyond. "I just believe that we have to go down a certain route. We need to cut our costs and our overheads. They're too high, as far as we're concerned."